The Jewish Museum of Thessaloniki was founded to honour the rich and creative Sephardic heritage as it evolved in the city after the 15th century. Consequent to the horrible expulsion from Spain by Ferdinand and Isabella in 1492, Jews began to arrive in the safe haven of the city in big numbers bringing with them an awareness of Renaissance culture and languages of the Western Mediterranean. Skills such as printing, cartography, medicinal sciences and knowledge of contemporary weaponry made the Iberian Jews an asset to the Ottomans. Rabbinical homilies and commentaries also accompanied the emigrants including the main cabbalistic works that were rooted in the Jewish mystical tradition of Gerona. Very rapidly, Sephardic creativity in Thessaloniki reached high point in the 16th century. The city provided a climate of tolerance and economic stability; it was not by chance that Thessaloniki was also known as “Madre de Israel”, Mother of Israel. The creative impetus of the Sephardi settlers was to bring about the eventual founding of some thirty two Kehiloth -communities- each with its own synagogue, traditions and unique customs, bearing the names of places of origin in Spain, Portugal and Italy. In academies associated with these synagogues, rabbis and mystics continued to teach the great traditions of Iberian Jewry. In the course of the following centuries, the small Jewish cemetery of the city was enlarged to accommodate the increased numbers of the deceased. By 1940 there were more than 500,000 tombs. The 19th and early 20th centuries were to see some of the early conditions conducive to the growth of the Jewish community reversed by wars, revolts and the possibility of new horizons in Europe, Asia and the Americas for more imaginative and innovative Jews. At the same time, a new challenge appeared after the absorption of Thessaloniki into the Greek State in 1912, in the need to accommodate Jewish life to the demands of current nationalism. As if to exacerbate the new conditions, a great fire in 1917 destroyed most of the Jewish Quarter in the heart of the city. In 1941, Thessaloniki under the Nazis, with its community of some 49,000 Jews, was ill prepared for the horrors of the “Final Solution”. By the end of 1945, only a handful of Jews remained; 96,5% of the Jewish Community of the city was exterminated in the death camps of Poland. The Museum is housed in one of the rare Jewish structures that survived the fire of 1917. Located in the very heart of Thessaloniki, this imposing building has at times housed the Bank of Athens and the offices of the Jewish newspaper “L’ Independent” and is a silent witness to the great Jewish presence that once filled its streets with the language of Cervantes, redolent with the odours of the kitchens of Seville and Toledo, silent from Friday to Saturday during Shabbat. The Jewish Museum of Thessaloniki has evolved out of this complicated matrix of historical circumstances. 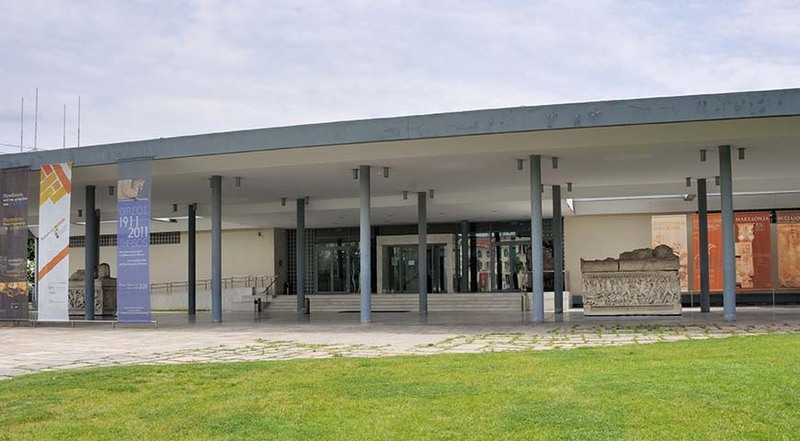 It is but one of several endeavours created within the structure of the Jewish Community of Thessaloniki in a building renovated by the Cultural Capital of Europe Organization “Thessaloniki 1997”. 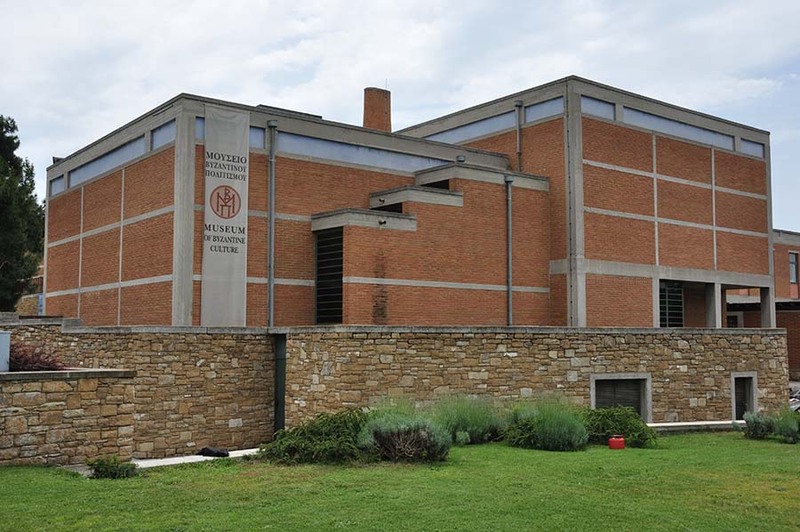 The Museum incorporates artifacts from its permanent collections, photographic exhibitions and the Simon Marks Photographic Exhibition “Thessaloniki, Sephardic Metropolis”. A research and documentation center operates within the premises, which aims to document and digitize archival documents from the Museum’s own collection as well as archival material from other sources, thus creating a database accessible to visitors. On the ground level are monumental stones and inscriptions that were once found in the great Jewish necropolis that lay to the east of the city walls. Accompanying these stones are a series of photographs showing the cemetery and visitors as it was in 1914. Central to the first floor is a narrative history of the Jewish presence in Thessaloniki from the 3rd century BCE until the Second World War. This exhibit was designed at the kibbutz Beth Lohamei Ha-Gettaoth in Israel and its reproduction in Thessaloniki was funded by "The Michael Marks Charitable Trust". Complementing this exhibition, are many artifacts from the collections of the Museum, giving the visitor the chance to have an image of religious and everyday life of the pre-war Jewish Community of Thessaloniki. A separate exhibit focuses on the Shoah, as it affected the Jewish Community of Thessaloniki. The majority of the community - some 49,000 persons - was systematically deported to Auschwitz and Bergen-Belsen where most of them perished. 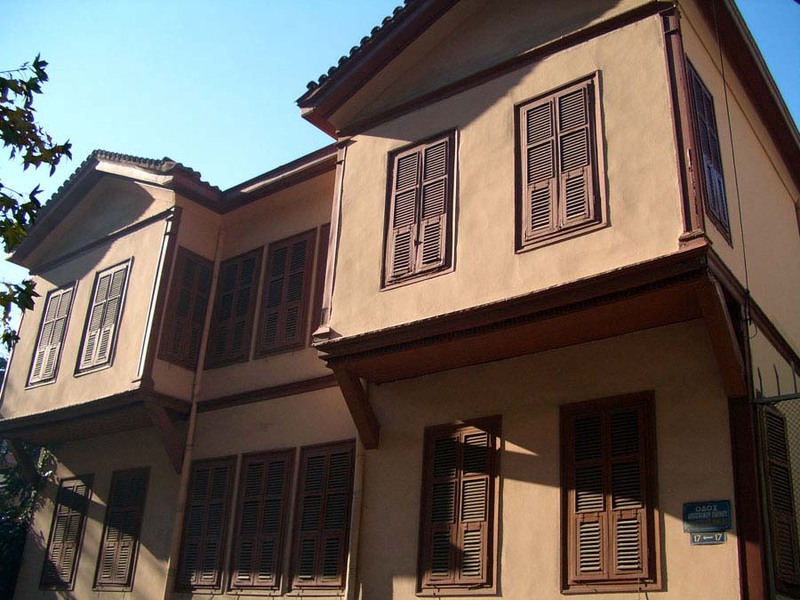 The library houses important texts that were printed in Thessaloniki from the 16th to the 20th century, covering almost every aspect of Jewish life, religious and secular. The library acts also as a repository for books on the history, customs and language of the Sephardi Jews. Adjacent to it is an audio-visual centre, in which visitors will be able to watch and research tapes and films documenting Jewish history -especially on the Holocaust. The Museum provides special educational programs for schools. If you would like to show your products, your services or even offers to make on thessaloniki 4 all, please fill in the following form and we will reply as soon as possible.